Medically Discharged from the Australian Defence Force? Have You Been Medically Discharged From the Australian Defence Force? TGB’s Tim White writes about the medical discharge process for Australian Defence Force members. If you are in the process of being medically discharged from the Australian Defence Force there is a considerable amount of information and documentation, covering a wide range of issues, that you need to consider. Importantly, if you have sustained injuries during the course of your military service, ensure that you have submitted a claim with the Department of Veteran Affairs as early as possible prior to being medically discharged. If you have service related injuries you will have entitlements payable from the Department of Veteran Affairs (DVA). If you have been assessed as MEC4, it is likely your medical information will be referred to the Medical Panel Review Board (MECRB), who will give consideration to the relevant documentation and make a decision as to whether or not you can be retained within the defence force or be medically discharged. That process in itself can take several months. You are entitled to submit relevant documentation outlining reasons why you should or should not be retained by the Defence Force. If the MECRB determines that you are to be medically discharged, then it is important that you promptly make the appropriate arrangements, including potentially submitting a claim to the DVA, to ensure that you have compensation for medical expenses and potentially weekly payments, when discharged from the military. Our team of military lawyers gives expert advice to Defence Force members and veterans. Once a determination has been made by the MECRB for you to be medically discharged, it is almost impossible to have that decision altered or reversed. Being discharged from the military will clearly have important financial ramifications. Importantly, ongoing medical treatment or rehabilitation becomes your responsibility to fund and access. If you submit claims with the DVA prior to discharging and those claims are accepted, then you should receive weekly payments from the DVA upon your discharge. d. Potential lump sum payment due to permanent impairment from any injury. Weekly payments should reflect the level of income that you were earning at the time of your discharge from the military. These payments continue while you are incapacitated from your injury. However after a period of 45 weeks they are reduced by 25 percent. The payments then continue until you find alternative employment or cease to be incapacitated by the relevant injuries. What entitlements you have and which legislation you are covered by is complex, and is dependent upon what period of time you have served in the Defence Force and when your injuries occurred. The comments I have made here are of a general nature and your specific circumstances may mean that there are different or additional entitlements to compensation. Are you an injured Defence veteran? The new Reparations scheme is due to launch in early 2018. Register your details here and we’ll keep you updated. The process of the DVA assessing your claim and determining whether or not the injuries are defence related can take time, and in some cases several months. It is therefore important to ensure that your claims are submitted well prior to being medically discharged. By doing this any gap in earnings from the military ceasing and weekly payments from the DVA commencing will be minimised, which will assist in reducing the financial hardship that occurs upon discharge from the military. What if I am dissatisfied with the decision by the DVA in relation to my claim? An experienced military lawyer can assist veterans or current serving defence members when a claim they have made has been rejected by the DVA or they are unsatisfied with aspects of the DVA’s decision. In some cases there may be additional injuries that have not been accepted, the level of payments are lower than what was expected, or the coverage of weekly payments or medical expenses has been ceased. There are a range of issues that give rise to disputes and we are frequently involved in advising current defence serving members or those that have been medically discharged. If you need any legal help with your claim, register here or contact Tim White below. 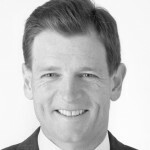 Tim is specialises in military claims and is a Legal Officer in the Royal Australian Airforce Reserves. Please note TGB can assist current and former ADF members Australia wide. Do I Need To Make A Claim Before Being Medically Discharged From The Australian Defence Force? Tim White writes about important steps to take before being medically discharged from the ADF.